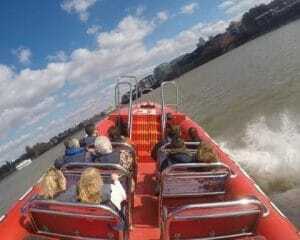 This is no doubt one of the greatest ways to view the Thames! Enjoy an exciting and unique river trip as you see London's most famous landmarks ... AND enjoy a high-speed RIB boat trip! 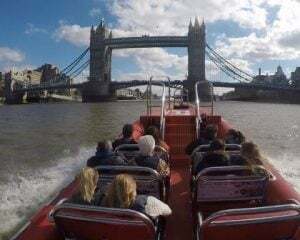 This fantastic 80 minute river Thames experience is the ultimate way to explore London and offers you a unique and thrilling sight seeing trip, along with a knowledgeable guide to the famous landmarks! 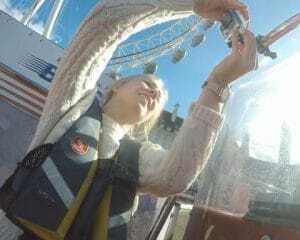 The boat will depart from the London Eye Pier, where you will meet and be introduced to the crew for your trip. They will show you to your seat and provide you with a lifejacket for the duration of the trip. These boats can reach speeds of up to 35 knots (approximately 40 mph), so you'll want to hold on tight! Your professional entertainer and guide will be on hand to talk you through the sights and associated history as you pass by. 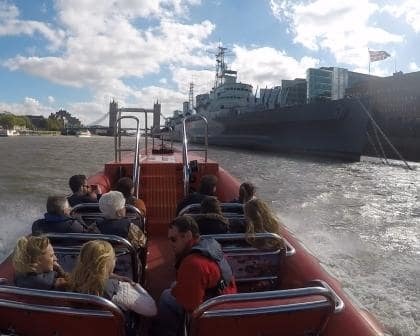 If you're looking for something a little different from your average London sightseeing tour, then this Explorers Voyage is the ultimate excursion. With hair-raising speeds and hilarious commentary, you are sure to have a blast, and learn a little along the way. This 80 minute Thames Explorers Voyage can be booked on most dates, throughout the year - bookings must always be made in advance. Departure times may vary seasonally. Child tickets can be purchased, here. 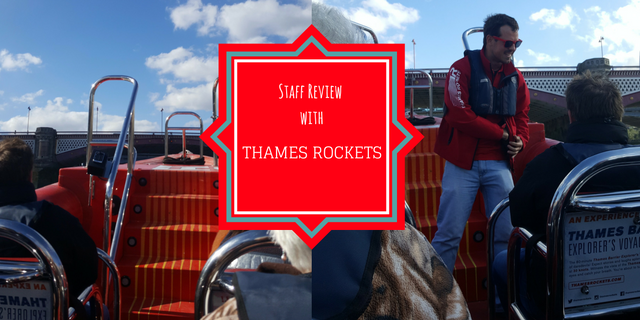 This powerboat ride is not suitable for expectant mothers at any stage of their pregnancy, or for those with existing or previous neck, back or heart conditions. Participants: The River Thames Explorers Voyage in London is for 1 participant. You will need to dress warmly for this experience - even when it is warm outside, the tour will be very windy! The RIB sails in all weather and can provide wet weather gear for all ages and sizes. This was so much fun! I didn't realise how fast the boat was going to go and the added tour guide on the way back was an great bonus. Definitely recommend.